In this episode, you will learn Angie’s formula called Local Off On, that is going to be the easiest and totally free way to implement a influencer marketing campaign. Even if this is your first time with Influencer marketing. Learn how you can draw people into your store or your local business. And to do so we simply are going to put in Influencer Marketing. Angie will break down what it is and how you can create your own influencer marketing campaign for your local business (or blog) without spending a dime and getting the best results. Podcast brought to you by angieperezb.com Social Media & Business Growth. 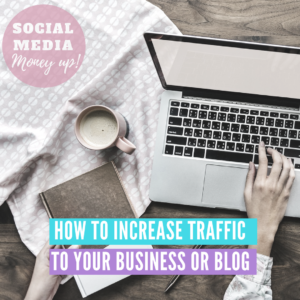 Hello and welcome to Episode 11 of Social Media Money Up.Today I’m going to show you how you can draw people into your store or your local business. And to do so we simply are going to put in Influencer Marketing.I will break down what it is and how you can create your own influencer marketing campaign for your local business today without spending a dime and getting the best results.Hey guys I’m Angie Perez B and today we’ll be looking at Instagram influencer marketing for local businesses, super effective, super easy and free!! If you are new to this podcast, please consider subscribing. 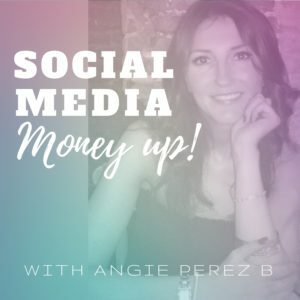 I record podcasts about the best techniques to grow your business or your blog and making money using social media and digital marketing.You can find my on Instagram at angieperez.b and on Twitter at angie9z. Today you will learn my formula called Local Off On, that is going to be the easiest and totally free way to implement a influencer marketing campaign. Even if this is your first time with Influencer marketing. Let’s jump into it! We are going to leverage in the power of Instagram. Instagram today is one of the most effective platforms that businesses can use when they want to implement marketing strategies for their businesses. Instagram influencer marketing is one of the most popular marketing tactics that people are using today especially businesses. There are lots of ways you can Implement an influencer marketing campaign for your business but today we are going to focus on local businesses and the easiest way to get your first influencer marketing campaign on track. This formula is perfect if you have never done anything like this before and you want to start with your first marketing campaign. Instagram is the favourite place to do marketing for thousands of businesses because there are lots and lots and lots of active users today on Instagram. Lots of marketing gurus tell brands to put their products or services in front of those millions of people just because there are staggerings amounts of people on Instagram. Well, those numbers may sounds very promising and very good but those millions of people are most likely to be meaningless for you, simply because they all are not your target audience.And your brand on Instagram will be just a drop in the ocean… But how can you narrow down your target audience and potential customers on Instagram. Keep listening! The tactic I’m going to explain you, let’s give it a name…. I’m going to call it local off on. Well, this is the best tactic to start with if you never have done influencer marketing before. Also if you are a blogger, you can adapt it for you too. This formula I’m about to show you is also great if you don’t have a huge following. Building an audience is not an easy task and it also takes a long long time to build quality audience target audience but in any case you must work for that if you want to make Instagram useful for you or your business. My “local Off On” formula will help you to accelerate the community building process and will bring you more additional followers for your business which is at the end of the day one of the objectives of your marketing campaign. So when you implement an influencer marketing campaign basically what you have to do is find an Instagram account which already has a loyal audience that is relevant for your product or for your business. I repeat: the influencer you choose must have an audience relevant to your business and also their community must be loyal and trust the Influencer you would like to partner with. In other words the followers of that account you would like to work with or partner with are genuinely interested in what the influencer is posting. Now let’s talk about the idea of my Local On Off strategy of Influencer marketing. Social media is at the end of the day about socializing and about networking. At the same time you are building positive Network relationship with other local businesses in your area, you must also build your own targeted and quality following everyday on Instagram. And to do so, you must encourage your actual customer to become part of your online community (in other words, to follow you on Instagram). I recommend listening to episode 3 ·How To Build An Engaged and Loyal Community”, and also you can check my blog angieperezb.com full of lots of strategies and tips to create a successful Instagram account. Also I have a book called Crushing Instagram you can order in amazon if you want to learn lots of techniques and strategies. 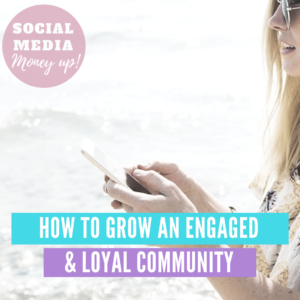 Basically what I’m trying to say here is that you want to build a real community of local clients you already have, and every-time one of you actual customers walks in to your store or your business, you have to encourage them to follow you on your Instagram. It is important that you bring your actual customers to your Instagram account because you want to have an Instagram account to promote your stuff and your current customers, the customers are already bought for you are more likely to buy again from you. It is very better to keep existing customers than gaining new ones. So used techniques to make your regular customers to follow you on Instagram. Examples: maybe like you can give them a promotion if they’re followers or something like that in any case you can also communicate with them kind of customer service or you can. you can invite them to follow you on Instagram to let them so that they can check your stories with discounts promotions and other interesting stuff. 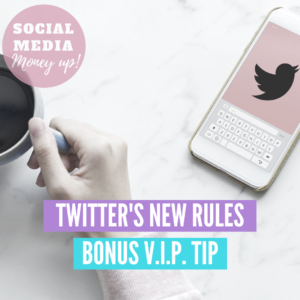 This is a bonus tip about how to get more people to follow you on Instagram: tell your existing customers to share images of your product or services on their Instagram accounts, ask them to also follow you and to use a particular hashtags for being featured on your stories or on your post; or also you can give them a small discount code for the next purchase like $1 discount or whatever you think it’s okay for your business. The reason to put all that work is not only to build your own following that is one of your goals of being on social media. The other thing important for you that you are going to achieve building a loyal, targeted, relevant and interested in your message following is that you are going to become yourself into an influencer. You will be an influencer for other brands or for other businesses that are interested in your loyal community. So if you want to get the help of another account as we will see in the next step, you are going to give them in exchange your message. So they will say yes because they want to have more exposure but obviously you have to have something to offer them, it has to be a balanced situation. Because you are going to pick the account that has the best audience in your understanding, in the same way you have to reciprocate, to be able to get a DS from this company or for this business or for these Instagram account. Also this will work for you in with other companies that, who knows, might reach you to get your services as an influencer. Step 3: make a partnership proposal to a local business of your choice. Once you have chosen the right local business that can bring you new customers, you have to make a proposal to the business owner. So you can tell them: Hey look! I have an Instagram account and I have my own following and I will be happy to partner with you in my account promoting your business but at the same time and in exchange I would like if you could do the same for me. Hey this is a win-win situation, it’s completely free and nobody’s going to say no to that. Especially if you already know each other. By the way you can use the same strategy offline, I mean promoting each others businesses in-place like having business cards of this company in your counter, and they can do the same. Example of an schedule of mutual influencer promotion: At the beginning maybe you can post two posts a week related to the business of your friend. At the same time they can do the same on a different day than you. That’s it! You only have to mention them and talk about how good it is to use there products or services. He will do the same for you. It can be monday and saturday for you and maybe wednesday and sunday for them. Keep this pattern for maybe 2 weeks, and after that reduce to once a week. After maybe 3 weeks, keep it to oned every 2 weeks, and keep that for like 3 to 4 months (or longer if you both agree). The important thing is this must be a long term partnership, not just a one-time only collaboration. You need to continually post for around 6 months, because the concept here is building . So don’t expect get big all of a sudden, it takes time to build a quality and relevant community. Step 4: Add more businesses to your influencer marketing strategy. Once you get used to have a partner, add some more maybe two more and you can do this like once per week business and they will do the same for you. The important thing is that you keep this strategy in the long-term. Not forever but definitely for like 5 to 6 months. At the beginning it can be every week then you can relax like after a month for every two weeks or something like that but during the process you will see how it works for you and also the other business as well will see how it works for them. People talking about you once won’t do much, unless they talk about you consistently over a period of at least 6 months. This is a first approach to influencer marketing for local businesses. If you are a blogger and you have friends that are also bloggers and their audiences are relevant for you and your audience is relevant for them you can apply the same technique but instead of local business as you need to send them an email or give them a call. Also you can partner with other bloggers you met on Instagram itself! At the end of the day it’s going to work the same, so this strategy is a win-win situation because it’s free and it builds positive relationship with other businesses and with time you probably will come up with more ideas about how to work together and it will be easier for all of you. The good thing about being a local business is that you will also put together offline campaigns that will also give you lots of good results. Because offline has to be worked as well and online can benefit from your offline efforts! Applying my formula Local Off On, you should see results ans also you will be generating brand awareness and sales. Just give it time, it works well. If you want to learn social media techniques and make more $ using effective marketing strategies, go ahead and check my blog angieperesz.com with lot of useful stuff. Go to the freebies section to grab my free guides. If you would like to reach me or leave any comments please reach me on Twitter! It’s the easiest and fastest way. my handle is angie9zI would like to personally invite you to my Facebook group Smart Social Income, a group where business owners can connect and collaborate to get Traffic and Engagement to the websites, social channels, or businesses of the members of the group. See you in the next episode of Social Media Money Up! Happy Socializing!! Previous PostHow To Get A Big Social Impact (even if you don’t have any Digital Presence).